XNilo Records is excited to announce an Online Event with Promise Land! When: June 26th – 8pm EST, Promise Land will be hanging out with us during the Metal Pulse Radio show. -DEBUT: 3 new Promise Land songs from their highly anticipated upcoming release ‘Harmony In Ruins’. Contest: Promise Land is giving away 2 signed copies of their new album ‘Harmony In Ruins’! Do you want your name put into a drawing? It’s as easy as One Click. -Simply ‘share’ the event on your Facebook and/or Retweet on Twitter. -You must share, TAG or retweet Promise Land so they know who you are. -The cut off date and time when you share, tag and/or retweet must reflect before the event ends. -Names will be put into a drawing and winners will be announced at the end of the event. 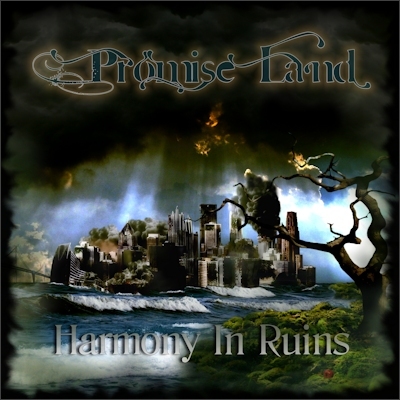 Promise Land: Harmony In Ruins – Album Cover and Track List Revealed! Be sure to also checkout the first official teaser-video of more to come as we draw closer to the release. XNilo Records & Metal Pulse Radio have partnered up with Solid FS to announce the return of the Firestream Music Vault! You heard that right! Firestream Music Vault is returning. This teaser video was officially released by XNilo Records on Saturday afternoon (1/18/14) announcing its return. The vault had previously made a short comeback in January of 2012, after XNilo Records acquired ownership and attempted to pull it from the ashes. It was then that it got hacked and crashed. It was clear the site needed completely rebuilt with updated coding and security measures to ensure this would not keep happening. Because the site had been the focus of hackers in the past; XNilo ran daily backups so the information would not be lost again, if it should happen. The site has been out of commission for some time as a re-work of the system would be complex and time consuming. Just when it seemed like the Vault had become a distant memory, Solid, the original creator of the Vault, rejoined the team! With a new custom platform and used much of the saved data, the vault has been restored. Thank you all for your patience and understanding over the past couple years as we have worked hard to bring this great site back to… You! XNilo Records/ChristianRockShop signs exclusive U.S. Distribution and Promotional contract with Bullroser Records (Finland) effective January 1, 2013. Bullroser Records has been releasing many amazing Christian rock/metal bands for years and have certainly paved the way for many upcoming bands from Finland and surrounding European areas. Such notable artists have been: HB, Deuteronomium, Scandinavian Metal Praise, Miriam, and many more. Since 2006, U.S. based, YoungSide Records has been bringing many of these amazing bands/ministries to the U.S. through their exclusive partnership with Bullroser Records. YoungSide has been one of the standout companies/record labels in the Christian rock/metal scene for many years. Ministry has always been their focus and they make no apology for it. Distribution shall be handled through the official XNilo Online Distribution Store: ChristianRockShop.com in conjunction with all U.S. promotional avenues through XNilo Records, Shattered Chain Records, XNR media outlets and partnerships. YOUNGSIDE PASSES THE BATON XNilo Records (USA) Signs Distribution Agreement with Bullroser Records (Finland)Bonita Springs, Florida— January 7, 2012— As YoungSide Records turns out the lights on New Year’s Eve, it is with a sigh of relief knowing that the partnership begun with Bullroser Records four years ago will continue. Bullroser Records (Finland) recently signed a distribution agreement with Pennsylvania-based Indie Label/Distributor XNilo Records/ChristianRockShop – effective January 1, 2013. Formed in 2011, XNilo Records is a musician owned label. This means they have the advantage of knowing and understanding industry struggles from both sides, and on a personal level. Retailers, DJ’s, Editors wishing to learn more about XNilo Records and their plans for the coming year, please take note of the Contact details. “I’m truly thankful to end this year on an upbeat with this final Press Release. I pray God’s blessings on both Lasse and David and their business partnership in the years ahead!” concluded Arlene Marais. Like XNR, Shattered Chain Records will still maintain it’s highest priority for Ministry and Ministry-Minded bands/artists as it’s main focus, however, musically it will focus on the more extreme genres of Christian Metal. This will also allows for more combined efforts on smaller releases for both touring bands and studio projects. Today, we at XNilo Records are excited to announce its acquisition of both the: Firestream Music Vault: the largest database of Christian Rock and Metal Albums on the internet, and the Untombed Network/Webzine: an online resource for Christian Hard Rock and Metal: News, Interviews, Reviews and Online Radio. 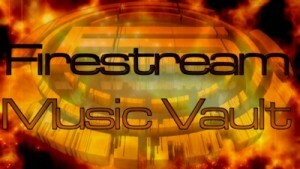 The one question the public has inquired about most has been concerning the return of the Firestream Music Vault. When asked, David M. had this to say, “Firestream is very important to a lot of people and we want nothing more than to see the website operating again. It’s very important that the public knows that there are still bugs being worked out and therefore, the full restoration of the FSVault will need the help of all the dedicated Vault managers. Nevertheless, I am confident that this amazing team will have it looking better than ever in no time”. The new Untombed E-Zine is in full operation with a renewed vision and an amazing staff that is ready to bring you the absolute best in Christian Hard Rock and Metal: News, Interviews, Reviews and Radio. **Please Note: There is absolutely no affiliation with the previous ownership of Untombed aside from the sale/purchase of the site. XNilo is entirely a different operation with their own staff and mission. In addition, XNR has already begun making changes within its radio station division. XNR also wants to welcome our very good friend, Jeff de los Santos, as Untombed Radio’s new station manger. Jeff not only dj’s his own show, ‘Through The Dark’, but he is also eclectic and very knowledgeable of all things Christian metal/rock. With Jeff at the helm, you can be assured that the radio station is in great hands. We at XNR are very excited to see what’s in store in 2012 for Our partners, Our extended family, and XNR’s new ventures!